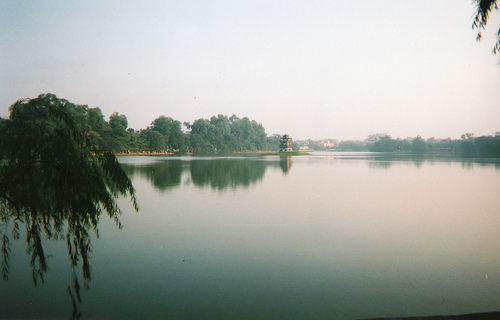 Hanoi is a great base to visit Ha Long Bay, Sapa, and as a springboard to visit Laos. SFO – NRT (Tokyo) – TPE (Taipei) – HAN (Hanoi) – TPE – NRT – SFO. Includes an overnight layover on the return. 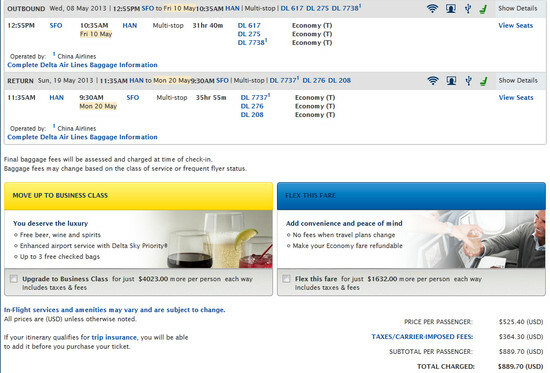 Use dates found on ITA Software Matrix Airfare Search and book on Delta.com. Visa Requirements: US Citizens. Visa required prior to arrival. Prices vary. However, you may have an agent arrange a visa for pick-up upon arrival at Hanoi Airport for a $20-25 handling fee paid upfront + $45 for the visa itself (also payable upon arrival). The Flight Deal team has used VietnamStay.com in the past for this service. It is much better than sending away your passport. Other nationals, check the TIMATIC Visa Database.